The prospects of chipmakers have improved substantially this year on initiatives to improve efficiency. In the DRAM market, the number of producers has now consolidated to just three — Samsung Electronics, SK Hynix Inc. and Micron Technology, Inc. (MU - Free Report)	. This structural change has improved efficiency and raised profit margins. Equipment makers such as Lam Research Corporation (LRCX - Free Report)	are also producing chips of their own design. 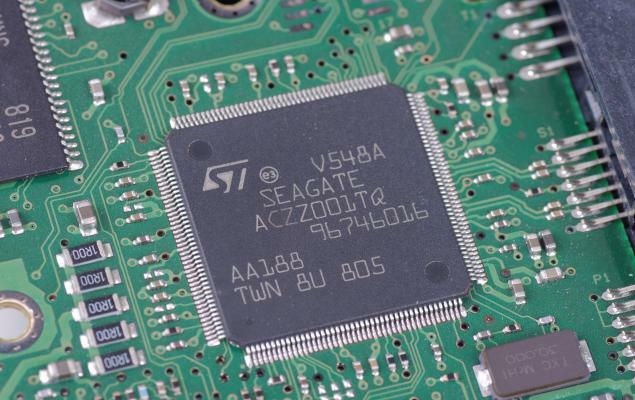 Such chips are much in demand from aircraft manufacturers to cloud computing behemoths like Alphabet Inc. (GOOGL - Free Report)	and Amazon.com, Inc. (AMZN - Free Report)	. Taiwan Semiconductor Manufacturing Company Limited’s (TSM - Free Report)	, in the meantime, has signaled that smartphone orders are picking up in Asia. Taiwan Semiconductor will ramp up its 7 nanometer production rates due to an uptick in orders for Android devices. Thus, Taiwan Semiconductor is particularly expected to witness a strong second quarter of 2019. Others such as NVIDIA Corporation (NVDA - Free Report)	have also predicted a recovery in the second half. Xilinx, Inc. (XLNX - Free Report)	designs and develops programmable devices and associated technologies worldwide. The company currently has a Zacks Rank #2. The Zacks Consensus Estimate for current-year earnings has risen 0.3% in the past 30 days. The company’s expected earnings growth rate for the current year is 23.7% compared with the Semiconductors - Programmable Logic industry’s projected rise of 22.5%. KLA-Tencor Corporation (KLAC - Free Report)	designs, manufactures, and markets process control and yield management solutions for the semiconductor and related nanoelectronics industries worldwide. The company currently has a Zacks Rank #2. The Zacks Consensus Estimate for current-year earnings has climbed 1.1% in the past 60 days. The company’s expected earnings growth rate for the current year is 5.4% compared with the Semiconductor Equipment - Wafer Fabrication industry’s estimated decline of 17.7%. FUJIFILM Holdings Corporation (FUJIY - Free Report)	develops, produces, sells, and services imaging, information, and document solutions worldwide. The company currently has a Zacks Rank #1. The Zacks Consensus Estimate for current-year earnings has moved 1% north in the past 90 days. The company’s expected earnings growth rate for the current quarter is 102.9% compared with the Semiconductor Equipment - Photomasks industry’s expected rise of 91.6%. You can see the complete list of today’s Zacks #1 Rank stocks here. Vishay Intertechnology, Inc. (VSH - Free Report)	manufactures and supplies discrete semiconductors and passive components in the United States, Europe, and Asia. The company currently has a Zacks Rank #1. The Zacks Consensus Estimate for current-year earnings has risen 4.3% in the past 60 days. The company’s expected earnings growth rate for the current quarter is 25% compared with the Semiconductor - Discretes industry’s projected rise of 21.2%. Intel Corporation (INTC - Free Report)	offers computing, networking, data storage, and communication solutions worldwide. The company currently has a Zacks Rank #2. The Zacks Consensus Estimate for next-year earnings has moved 1.9% up in the past 90 days. The company, which is part of the Semiconductor - General industry is expected to record earnings growth of 5.1% next year.